Alion Science and Technology has hired a new chief technology officer and made its previous CTO the company’s chief strategy officer, saying the moves will help the company meet defense customers’ technology needs. New CTO Todd Borkey joins Alion from Thales Defense & Security Inc., and he will be responsible for the company’s technology strategy. The company’s former CTO, Christopher Zember, will become the company’s chief strategy officer, and will be responsible for corporate strategy, with a particular emphasis on advanced technology and engineering solutions. Before joining Alion, Borkey was CTO and vice president of systems solutions at Thales, where he was responsible for extending the company’s reach in key markets. 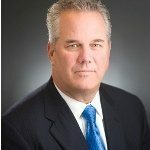 Borkey has also held leadership roles at DRS Defense Solutions Inc. and Northrop Grumman Corp.
Zember, who joined Alion in October 2016, has extensive experience within the Defense Department, and served as director of the National Defense University’s Center for Technology and National Security Policy before joining the private sector. Zember frequently speaks on national security, technology, innovation, and defense acquisition topics, Alion said.